Just Genesis : Did Abraham Intend to Sacrifice Isaac? Did Abraham Intend to Sacrifice Isaac? The Binding of Isaac is best explained by Horite Hebrew beliefs concerning the High God and His son, Horus. In the symbolism of the Horite Hebrew the Father-Son were represented by the Sun and the solar arc. The Sun was described as rising in the east like a young lamb and setting in the west like a mature ram. As Abraham and Isaac ascended Mount Moriah, Isaac asked his father "where is the lamb for the sacrifice? Abraham replied that God would provide the lamb. However, God provided a ram. To understand what this would have meant to Abraham, we must be aware of his Horite Hebrew beliefs concerning the expected Righteous Ruler who would die and overcome death, rising to immortality. Horus, the son of Ra was depicted among Abraham's Nilotic ancestors as being one with the Father. He rode with the Father on the solar boat. The boat of the morning hours was called Mandjet and the boat of the evening hours was called Mesektet. While Horus was on the Mesektet, he was in his ram-headed form. The east represented the past and the west represented the future (as with many indigenous peoples). The ram symbolized God's acceptance of Abraham's offering (justification) at that moment and Abraham future justification at the eschaton. The ram caught on Mount Moriah symbolized to Abraham that his offering had been accepted, because the lamb had become the ram, mature in strength, by God's provision. ManageJews speak of the "binding of Isaac" as the Akeidat Yitzchak. Most Jews do not believe that Abraham intended to sacrifice his son. In The Binding of Isaac, Religious Murders and Kabbalah, Lippman Bodoff argues that Abraham never intended to sacrifice his son. Rather, he had faith that God had no intention that he should do so. Genesis Rabbah holds that God "never considered telling Abraham to slaughter Isaac. Rabbi Yona Ibn Janach wrote that this story is about a symbolic sacrifice. Rabbi Yosef Ibn Caspi maintained that Abraham's "imagination" led him astray. Ibn Caspi wrote, "How could God command such a revolting thing?" 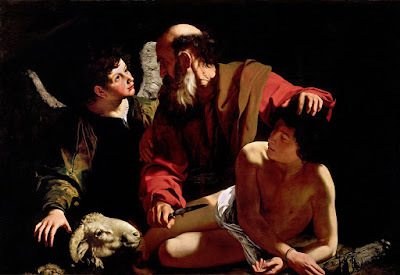 Rabbi Joseph H. Hertz maintains that child sacrifice was "rife among the Semitic peoples," and finds it "astounding that Abraham's God should have interposed to prevent the sacrifice, not that He should have asked for it." Hertz's interpretation of Genesis 22 is that God was correcting the practice of human sacrifice among Abraham’s people. Unfortunately, there is little anthropological and archaeological support for this view. The is no evidence that the Horites practiced human sacrifice. "The ritual killing of human beings as part of the offerings presented to the gods on a regular basis, or on special occasions." "Retainer sacrifice, or the killing of domestic servants to bury them along with their master." For the first definition there is no evidence among Abraham's ancestors, and regarding the second definition, there is dispute among Egyptologists. Caroline Seawright has written, "Human sacrifice is not generally connected with ancient Egypt. There is little evidence of human sacrifice during most of the dynastic period of ancient Egypt... but there is some evidence that it may have been practiced in the Nile Valley during the 1st Dynasty and possibly also Predynastic Egypt. Seawright is referring to subsidiary graves at Abydos, the burial place for the first kings of a unified Egypt. These were Kushite rulers. However, these were the graves of domestics and officials who probably died naturally, not the graves of servants who were sacrificed to serve the ruler in the afterlife. Even the most provocative National Geographic report has to admit that this is probable, lacking hard evidence that the ancient Nilotic peoples sacrificed humans. The "binding of Isaac" involves a promise. The promise is understood in the exchange of the lamb Issac asked his father about, for the ram that God provides. For the Horite Hebrew this speaks of the Creator's son, Horus, who was said to rise with the sun as a lamb and set with the sun as a ram in its full strength. That being the case, this story is about God providing His own sacrifice, but in the future (symbolized by the west). The text supports this interpretation. It is apparent that Abraham intended that Isaac should be offered to God, perhaps dedicated to God's service, as Samuel was dedicated to serve in the temple? Genesis tells us that Abraham expected to return with Isaac to his men waiting at the base of the mountain. Abraham, the Horite Hebrew, expected resurrection and he told the men that both he and Isaac would return (Genesis 22:5). Abraham knew to expect a son who would overcome death. He likely believed that Isaac would be raised to life after the sacrifice. In other words, he acted by faith. By provision of the ram on Mount Moriah, a site that was sacred to the Horites, Abraham received confirmation that his offering was accepted, and he also discovered that Isaac was not the anticipated Ruler foretold in Eden (Gen. 3:15). That one would be revealed in the future. Paul and James are perceived to be in conflict on the question of justification, yet they both argue based on this story of Abraham and Isaac. There is no conflict in their understandings of this event if they understood that Abraham trusted God to confirm the truth to him. This is the man who posed the great question: "Will not the Judge of all the earth do right?" (Gen. 18:25) This same Abraham believed God's promise concerning the appointed Son on a deep level. What Abraham discovered on Mount Moriah is that Isaac was not the long-awaited Messiah who would overcome death and lead the people to immortality. That Lamb of God was yet to be born, and He would die a ram (in full strength of manhood) in the future. James tells us that Abraham discovered justification through acting on his Messianic faith... that by works a man is justified, and not by faith only (James 2:21-24). The Jews call their ancestors "Horim" because they recognize the Horite Hebrew identity of Abraham and his ancestors. The Horites believed in the resurrection, but this fact has been suppressed by rabbinic teaching. The Horites anticipated that a woman of their ruler-priest lines would miraculously conceive by the overshadowing of God and bring for the Son of God. This explains why their lines intermarried exclusively, as analysis of their marriage and ascendancy pattern shows. Both Joseph and Mary are descendants of the Horite ruler-priest lines. This is attested by the fact that Joseph had to register for the census in Bethlehem. Bethlehem was a Horite town. I Chronicles 4:4 lists Hor as the "father" of Bethlehem. The Nilotic Horites held an annual a 5-day festival in which they mourned the death of the son of God. He is called Horus, from which come the terms "Horite" or "Hurrian." On the third day, the priests lead the people to the fields where they planted seeds of grain to symbolize his rising to life. This was a custom among Abraham's Nilotic ancestors who hung their hopes on the resurrection of the Righteous Ruler. The rabbis do not agree on the meaning of the binding of Isaac, but one thing is certain: the Horite Hebrew did not practice human sacrifice. The biblical evidence indicates that child sacrifice among the Semites developed after Abraham's time because God condemns it between the 8th and 7th centuries BC, about 1200 years after Abraham. There is little evidence of human sacrifice among biblical peoples. This narrative of Abraham with Isaac isn't about human sacrifice. It is about Messianic expectation of the dying and rising son. The narrative concerning Jephath's sacrifice of his daughter is a moral lesson about not swearing rash oaths (compare James 5:12), and a critique of Canaanite practices surrounding war. I think Rabbi Hertz's position is supported by Numbers 18:15: "Everything that opens the womb of all flesh, whether man or beast, which they offer to the Lord, shall be yours; nevertheless the firstborn of man you shall redeem . 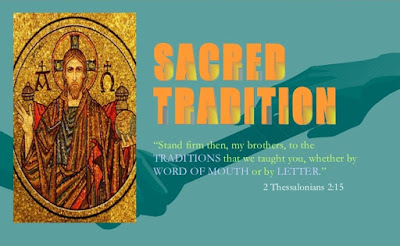 . ." The principle that the firstborn is owed as a sacrifice is acknowledged here, even as it is trumped by the requirement to redeem the firstborn of man. In 1979, Archaeologists Yannis and Efi Sakellarakis have found evidence of human sacrifice exactly as described in Genesis 22. The human sacrifice scene was found at Arkhanes in northern Crete (taking place around 1700 BC). The Minoans of Crete had close affinities with that of the Canaanites. It has been said that this chapter may have been written by someone in the northwest area of Canaan close to the Island of Crete. The author of "Who Wrote The Bible" Richard Elliott Friedman lists Genesis 22 as the 1st document from the 'Elohist'. He believes that at the time of Jeroboam - when Israel was divided into 2 kingdoms, the Jahwist and Elohist wrote separate Torahs (including folk-tales based on location)for their people and an editor at a later date unified the documents. He has a very unique take on JEPD. One that may not conflict with the Horite system. I know you disagree with the JEPD theory but... Could this (or something close to this) be the explanation for Genesis 22? What do you think? My problem with the Documentary Hypothesis is that it has obscured and obfuscated the Biblical data concerning Abraham and his Horite people. Child sacrifice was practiced in Carthage in North Africa. This practice spread to Crete and into Tyre and Sidon of Galilee, and it was criticized by the prophets who opposed the sacrifice of children to Mo-lech. It found its way into Judah as evidenced by Jephthah (Judges) who swore an oath to sacrifice the first thing he saw - that being his own daughter. Oaths were stronger than blood among those men. This practice represented a decadent and corrupt form of worship. Abraham's binding of Isaac is older than the practice in Carthage. It isn't about child sacrifice, though it ties that to an oath. Only this oath is that of God who has sworn to Abraham that He will provide the Lamb who becomes the Ram. That is Messiah, the Christ. Also, Abraham's first born son was not Isaac or Ishmael. That son was born to Abraham's cousin wife, Keturah. Likely, the first born was Joktan/Yaqtan. This is the grandson of Joktan the Elder, Keturah's father.